Extent: Renovation of existing Georgian town house and the addition of two new extensions. External works include extensive re-landscaping. No 4 St. Margaret’s Steps was a semi derelict, late Georgian stone structure built on the southern slopes of Bradford on Avon. The house, originally a wool weavers workshop, was converted to two houses when the local weaving industry moved to the large mills in the town in the early nineteenth century. 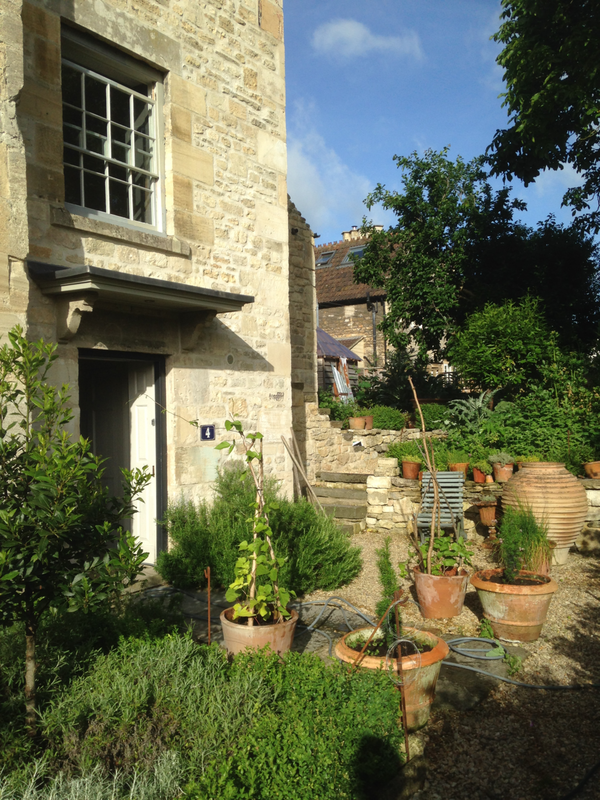 It was subsequently opened up into one house around twenty years ago, it is built of dressed Bath stone ashlar blocks to the front and coursed rubble stone to the side and rear. The polite, front elevation is built with double hung vertical sliding sash windows containing much of their original crown glass which were all carefully repaired and retained. The house, when bought in 2011 was in a very poor condition. A Structural Engineers report highlighted the lateral movement to the two gables with significant bowing to the first floor and above to the west elevation. Considerable rebuilding was necessary to stabilise the structure. Elsewhere the building suffered from extensive damp and years of neglect. The scheme to repair and refurbish the house also included a change in the fenestration to the rear and the construction of a new, three storey side extension, designed to be subservient to the main house and provide new bathroom space in the void between the house and the modern garage. 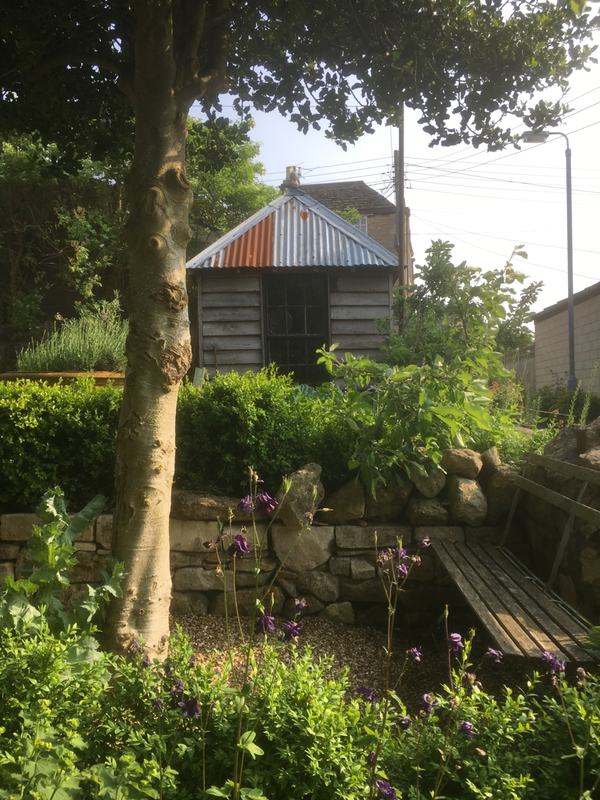 The garage itself was built of an unattractive artificial, cast stone which was reclad in local oolitic limestone.The new extension offers a significant element of structural stability to the west gable which was suffering from significant lateral movement. As most of the masonry walls were external walls the decision to dryline and insulate the walls led to the opportunity to install internal, painted timber panelling which tied in with the new internal floor finishes and joinery. 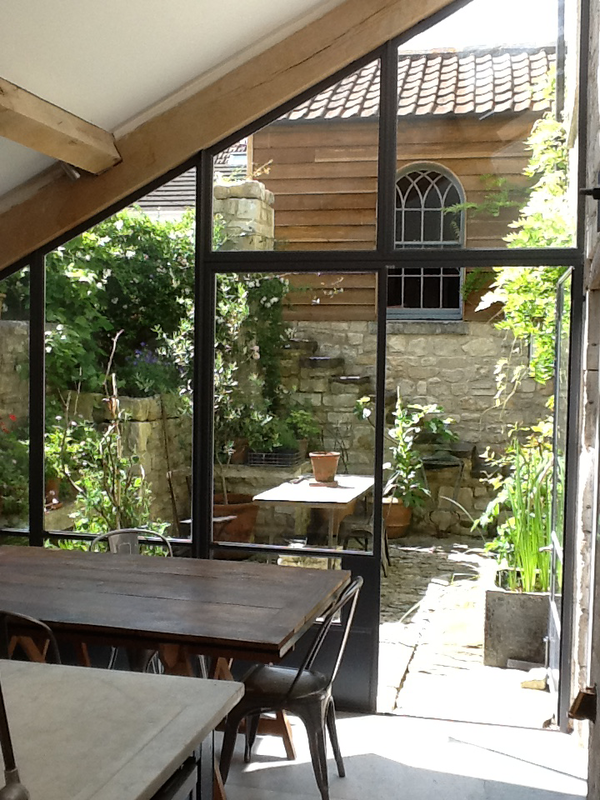 A new kitchen to the rear on the site of a damp and derelict side extension was built with full height steel framed glazing which offers a strong visual connection between the new rear courtyard and the kitchen.